Veteran newsman A Kadir Jasin has urged Johor Menteri Besar Osman Sapian (above) to explain the controversial de-gazetting of Pulau Kukup's status as a national park or resign if he cannot. "I would like to ask Osman if he was telling the truth when he told me before the start of the Bersatu supreme leadership council meeting on Nov 28 that the (Johor) palace did not interfere with the administration of the state. "I asked him if there is truth to the rumours that the palace was taking state lands, even those measuring as little as half-an-acre. "He said 'no'. But he said he wouldn't know if such a thing happened during the BN state government," Kadir wrote on his blog today. He added that he then reminded Osman that the latter was with the BN state government for three terms from 1999 to 2013 before contesting under the Pakatan Harapan banner in the May 9 general election. "There is no need to beat around the bush. I would like to ask Osman and his Harapan colleagues if this true and legal. "If the Harapan state government under Osman approved this deal, then it is no better than the last BN government. "If Osman cannot explain to the satisfaction of the people who voted him and Harapan seven months ago, then he should consider resigning," said Kadir. 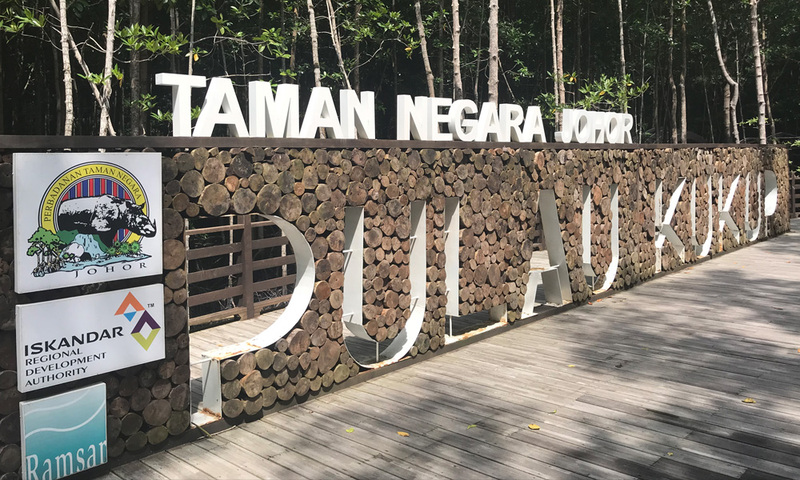 Earlier today, the Harapan-controlled Johor legislative assembly passed an urgent motion for the state government to review the de-gazetting of Pulau Kukup's national park status. Johor Crown Prince Tengku Ismail Sultan Ibrahim, meanwhile, has chastised those who politicise the de-gazetting issue saying matters concerning land are under the state government's jurisdiction. Yesterday, Malaysiakini had reported that the land de-gazettement was decided in a Johor state executive council assembly meeting on March 7, 2018, when BN was still the state government.